Wayside Waifs Humane Society is the largest shelter in the Kansas City area. Ian Dunbar — the guy who changed it all. A mentor to many of us. SIRIUS Dog Training. MUST VISIT site. Visit this site often. A HUGE library of videos on all manner of “positive” training and behavior information for canines. CD’s are available too. 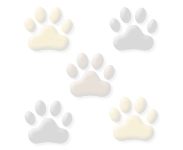 Welcome to Open Paw®, your definitive animal training resource. HEARTLAND POSITIVE DOG TRAINNING ALLIANCE.